» Titles: The Ripper, the Fourth born. » Age: Toddler in human time, 15ish as a Sugiura. » Affiliation/Rank: No nationality, no ethnicity. Standing in at just under six foot three, Kurama has an imposing visage on most people that he he meets. His face is youthful, almost boyish, but the way that he carries himself is very mature. His movements are usually purposeful, if erratic. His hair is white in color, stark white, as if the color had been drained and bled out of it. His eyes are a shining blue, although they have also been known to shift to red on occasion. His nose and mouth are normal size, and his face is a bit more elongated than normal, though his neck is normal sized. Going up outside of his mouth are two lines that can be seen up close, and these are representative of the synthetic skin which he wears over this area. His left arm is normal, although it is covered in scars. His right arm is completely cybernetic from top to bottom. Around his body he will wear either a suit jacket or a black windbreaker, with his 'armor' underneath. 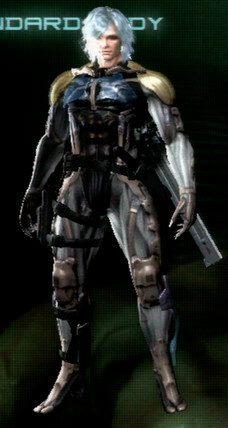 His body from his neck down is covered in cybernetic armor, which even covers over his hands and feet, completely covering him from top to bottom. 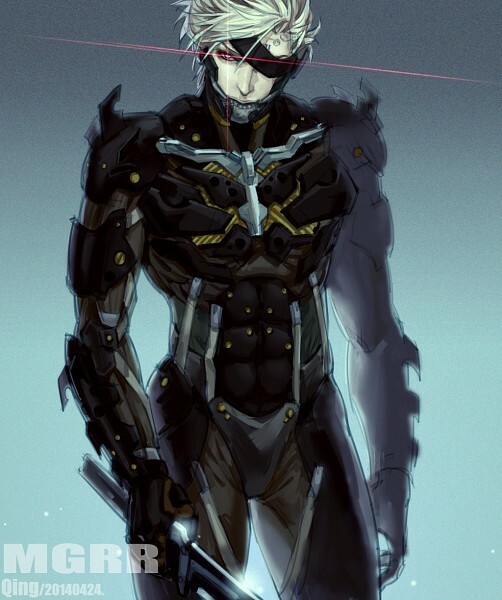 Underneath the armor, his body has similar small marks, and he is also missing his right leg, which is also completely cybernetic. The armor does not appear to hinder his movements, allowing him the same mobility as if it were weightless. His feet are focused entirely towards the foot, the sole being lifted off the ground by a platform. Finally, underneath either side of his jaw he has additional armor, which when engaged to do battle will disengage from beneath his chin, rising up and covering both sides of his face and the entirety of his bottom lip, moving with him as he speaks. Perhaps the most important part of Kurama's personality is that he largely looks to himself to compare who he is as a person. He has always been curious about what motivates men and women to take their actions. He has a strict code of philosophy. He will not take when he believes to be an 'innocent' life, a life which has not chosen to put itself into harm's way, nor will he stand by as someone else attempts to perform this action. He does not tolerate cruelty, though he is constantly examining his own actions to judge them. After every time he participates in a battle or similar conflict, his nature is such that he comes away from it questioning what he has learned. Kurama wants to be a 'strong' person. He wants to be a person that other people can rely on, depend on him. As such, he believes that he has to be his own master, and while he is able to recognize when he needs help, it is very unlikely that he will go out and seek it on his own. For him, his 'strength' means standing by his ideals, no matter what happens, and being able to protect his own until the very end. It means that he is not allowed to give up until his own body gives out. using the force of his will to keep pressing forwards no matter what the consequences may be to himself. In combat and occasionally in private, he can be seen as ferocious. He has difficulty with dealing people who he considers outright 'weak', although his principles mean that he still tries to understand them. Perhaps this was a trait which he gained from the 'hunger' of his mother. When he wants something to be done, he will pursue it with a great amount of passion. When his passion wanes, he begins to question himself, 'shaping' his ideals so that he completely understands what he is fighting for. As for actual combat, when he feels that he is danger, he goes completely into 'flight or fight' response. Whichever one is the answer will depend on the situation and what he is currently fighting for. One of the most important ties that bind Kurama are to his family. His mother, father, and brothers are his 'pride'. While he will allow for them to fight their own battles as they need to, he will not tolerate insults against them, nor will he stand idly by when they are in danger. His family are the ones that he cares for the most, and he would prefer to die than to live in a world where he could not protect them. While his family is the most binding tie that he has, it is also one of the only ties that he has. He does not like to identify himself with groups. Even if he were to join an organization, it is unlikely he would do it for any other reason to accomplish some goal of his own. He does not identify with any single race, with any country, or any government. 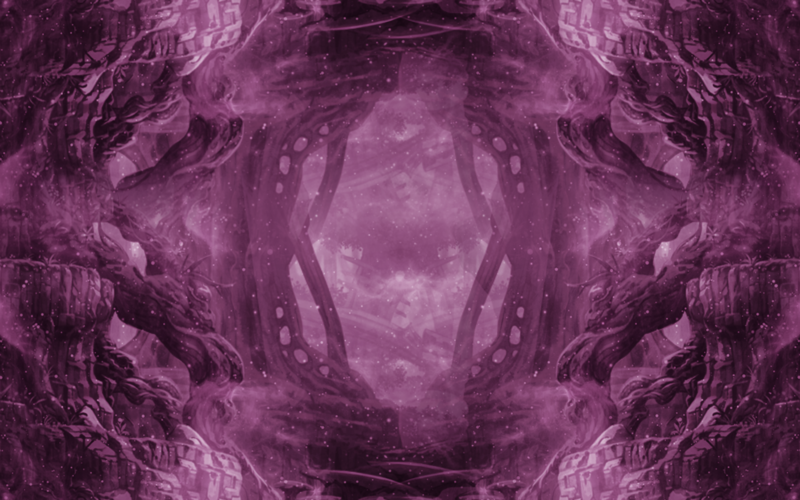 He identifies with other people, and even if a group were to assist him, he would identify with the people inside of the group who made their own decisions as opposed to the conscious as a whole. Referring back to the 'strength' and his self-reflective nature, these two traits result in him being very protective as a person. Very skilled in analyzing situations to see potential dangers and reacting to them with speed, he has developed with the philosophy that if there is something he could do, then he must, taking a hand out of Kant's Imperatives, at least to some extent. Kurama also has a peculiar interest in weapons, with swords in particular. He believes in a philosophy that 'a sword held in front keeps another in the sheathe'. To him, weapons should only be used in order to protect what one holds dear and to punish those who would harm the 'innocent'. When he sees them used in improper ways, he is unable to look away, and feels the need to intervene, whatever that intervention should require of him. » Likes: Swordsmanship, Family, Aceldama, spending time with Sagumi and his siblings, reading, listening to music. » Dislikes: 'Akuma', disrespectful people, his blade being damaged, losing. Screaming and pain. Blood, emotions running high. Gestation, and finally the emergence. Out from between the legs of his screaming mother, a baby slowly emerged. Its head pushed through, followed by his tiny arms. The midwife who was aiding them slowly reached down, the gentle hands going around his body as the totality of his body emerged from that of his mother's. Pain was required as the equivalent exchange for this child to come into the world, and soon after the mother was taken care of as well as the child. His eyes were still closed, but he was gently handed over to someone else. This person's hands were much firmer, and calloused, but they also had a gentleness to them that seemed almost out of place. Meanwhile, the scratching pants of the mother continued, as she was unable to simply relax after an ordeal like this. Three times she had gone through this procedure, four if one counted the fact that two were born in one. The boy's crying stopped and subsided after a while, and soon after he was taken to be cleaned up. Who knew what kind of destiny would await him? The man known as Kurama was born to the pair of beings known as Aceldama Cruor and Sagumi Sumashuu. He was born to them as the third out of five children. His birth was prepared carefully by the two of them. As a person, the plan for Kurama was to see what he enjoyed. As a person, Kurama greatly enjoys reading, and when it came to learning how to defend himself he deciding on learning how to use a sword. Therefore, he was sent away to learn how to wield a blade, and would be taught the many intricacies of sword craft. However, as a result of this, he would often be away from home during the day. Therefore, he would spend most of his days off with the family, enjoying the company of his siblings and the attention of his mother, and spending time with his father whenever possible. To him, it saddened him that their father was so rarely around, but due to his observation, he decided that it would be best if he were to enjoy the time that he could with his father. After a length of time, he would learn about the race known as the Tsurugi. 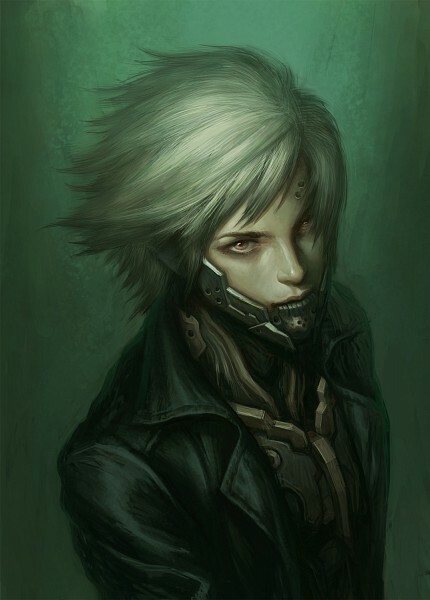 Greatly interested by their technology and their ability to encase their bodies in steel to protect them, he decided that he would quest to retrieve one. This would result in him gaining his armor, Muramasa. Part of it was crafted by himself, but the OS was taken directly from the Tsurugi's archives, from a saved copy of a blank OS. After a length of time, the suit became his partner, and using it became a regular habit for him in training and outside of it. Around the same time, he became used to training his chi energy. He discovered that the form his chi energy took was electricity, and thus began to hone its usage with Muramasa as well as the blade that he had crafted for his armor. To Kurama, a blade simply feels 'natural' in his hands. The feeling of his electromagnetic blade leaving its sheathe and crossing across the wind feels great to him. 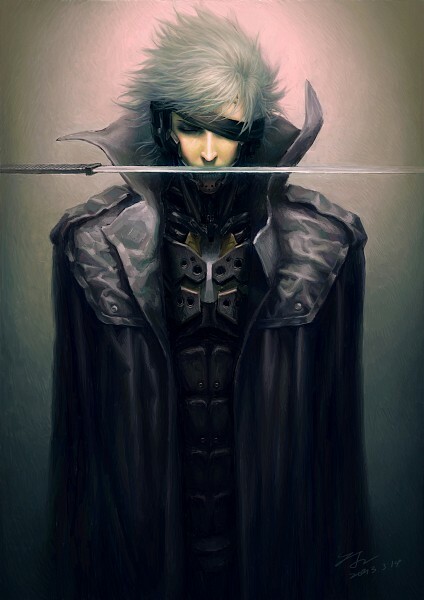 The blade feels like an extension of himself, and when he grips it, no matter with what part of his body, he can feel the exact length of the entire blade. He depends largely on this tool, and as a result uses it for both attack and defense. He is naturally very reactive. It is almost impossible to shock Kurama, as he is very adept at rolling with the punches listens closely to his instincts, that 'flight or fight' response. Making snap judgments comes easily to him, and while he may be reflective afterwards, in the heat of battle or argument he depends on his experience to lead him through. He naturally has the ability to swim. Nothing very complicated here. His cybernetic parts do not prevent this function of his body. Kurama's ability to focus is high enough that he considers it one of his greatest skills, or even one of his greatest weapons. Even with hellfire raining down, he is able to maintain a level head and target his goal, never ceasing his ferocious approach to whatever the endpoint may be. Curse: If he loses control of his emotions, he enters within a state known as 'The Ripper'. The suit requires no personality. The suit must protect Kurama at all costs. The prime directive of the suit is to aid Kurama. His ideals and his battles are the only thing of importance to the suit. The suit needs no sympathy. The suit requires no ideology. The suit does not desire any kind of independence short of maintaining the life and well being of Kurama. Kurama is the final decision maker in everything. The suit has no place in deciding the course of actions that the two of them shall take. The suit will not care for its own destruction. The suit is secretly a Yandere. Fixed Armaments: Blades, nanite and power absorption capacities, electromagnetic blade synchronization, weapon bay. This is a 'hammer space' that is a part of Kurama's suit. On the left hand side is a circle in the armor, and this circle can produce various weapons. Generally within this space he has a rocket launcher with six rockets, twelve grenades, twelve flash bangs, two pistols, and three plasma knives. The armor itself does not have any kind of 'power source'. This is what allows for it to be so lightweight and be so incredibly focused on durability. Whenever one of Kurama's blades attacks, the blade collects reishi, or spirit energy, dragging as much as possible out of the air and flooding it into Kurama's body and armor. While this energy can be used to heal some minor wounds, it would take quite a lot of energy to replace something like a damaged organ. Naturally, cutting into someone who is attuned to spirit energy will provide a much larger boost than ambient energy, and by his suit absorbing the power that would have been lost from his strikes he is able to easily keep the suit running at maximum efficiency. Attached to his body is a pain inhibitor, which is able to mitigate the pain signals that his body naturally sends to his brain. While this does not disable them, it does reduce all messages of pain that would be sent to his brain by roughly 65%. This means that he does not normally feel 65% of the damage that is dealt to his body, although his nerves and body itself still feels the damage just as it normally would. The important aspect of this is that it is optional. When it is engaged, it feeds off of his spiritual energy, and therefore becomes a potential liability when he is trying to conserve his energy. 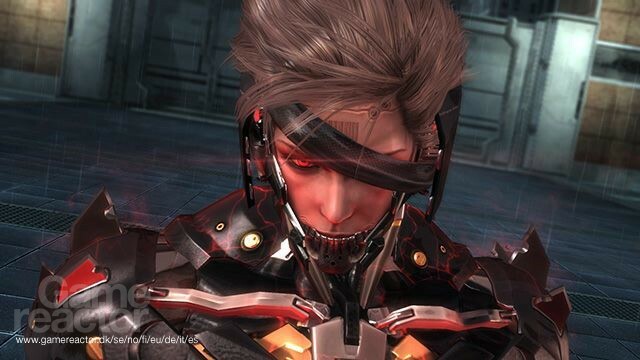 On either side of his head, he is able to engage a black 'mask' when his suit is activated. This mask closes down over his eyes, acting like a visor that goes just over his nose. What this 'matrix' does is analyze everything within a twenty foot radius of his body. Any data which could be collected through basic observation of the object is collected, as well as a routine check for information relating to each and every object and location through the internet. It should be noted that this connection is one way. While Kurama can automatically access any 'window' of information related to the world wide web, it is entirely one-way. It is impossible to enter Kurama's suit through this connection. The information is then stored within the suit itself, and can be acquired near instantaneously through Kurama inquiring about the various objects around himself, receiving answers at the speed of thought. The Electromagnetic Force Blade is Kurama's primary armament. This weapon is roughly three feet in length, and its appearance is that of a traditional Japanese sword. However, the blade itself is constantly exuding spirit energy in the form of electrical energy, and the blade itself is constantly releasing an electromagnetic field. This field is manipulated to create a kind of 'barrier' along the edge of the blade, which is connected to the armor itself. The true purpose of this barrier is to aid Kurama in penetrating the defenses of his enemies, as the electrical energy released greatly increases the slicing power of his weapon. By wielding the natural chi in his body, Kurama is able to produce electricity out of his body from any place that he desires. He is able to generate electrical currents, as well as bolts of electricity and smaller shockwaves of force. His suit is also able to interact with this ability. By amplifying the amount of energy that is poured out by infusing spirit energy within the blasts, while the suit is online it is able to greatly increase the effectiveness of Kurama's electrical attacks. Kurama also has the ability to interface with any electrical system, altering its current, voltage, or even resistances at will using his Chi energy. When he interfaces with a system such as a computer, he is able to access all manner of files and even download them into the O.S. of his suit. Through transferring his electrical prowess through conductors, he can even do things like cause electrical lights that he passes by to explode from being overloaded, and the most dramatic use of this ability is the ability Slicing Wind. Despite being named Slicing Wind, this ability is actually the creation of lightning bolts through Kurama interacting with the climate system around his body. By interfacing with the ground and raising his blade high into the air, he is able to infuse electricity all throughout the ground, causing it to center in on a certain point, before producing a thunderbolt that soars into the sky at the designated point, attempting to eradicate everything it comes into contact with. Perhaps most interesting is the fact that his lightning bolts can be continually produced so long as he still has the energy to produce them and can maintain the stance with his blade held before his body. Finally, this ability has one large drawback. It is unable to be used in the same location twice. It needs to be used at least 5 feet away from any prior lightning strike produced by Kurama. By infusing his legs with electricity, Kurama is able to change the state of his lower body to 'lightning greaves'. These greaves allow for him to move at shunpo-like speeds in small bursts, with each activation lasting for roughly a post, possibly two depending on how desperate he is to use them. However, these lightning greaves also turn O.S. to become self aware during their activation. While Kurama is moving, the O.S. will control his legs and act to his will, meaning that his legs will get him to his location without him having to consciously pick out each and every step. Finally, this ability is interesting in that even if his legs are ripped off, the 'greaves' are formed from shells of electrical energy being created in the shape of his legs, meaning that while this ability is activated, he is essentially given a new pair of 'legs', allowing him to move even if his have been removed or chopped off. By altering the 'frequency' of electrical energy around his body, Kurama is able to make himself 'invisible' to all manner of scanners which use electrical components to find their targets. In addition, this ability has the capability to be used for supernatural senses as well, though at present it is only able to make him a bit more difficult to find using those abilities, and this ability does not halt physical observation in any way, shape or form. The summoning technique required to summon the Slicing Wind, the Lightning Blade is the formation of a large amount of electrical energy within the EMF Blade. With this ability activated, a 'shell' similar to his lightning greaves is created around the blade, though this shell has the ability to be just as sharp and durable as the blade itself. By striking with the Lightning Blade, Kurama can extend its length at will, as well as cause it to bend or shift in order to hit targets beyond the length of the regular blade. Finally, he is able to produce electrical attacks through his chi using the blade while it is in this state, projecting them through the 'shell'. When Kurama enters into this state, who he is as a very person is changed. The suit is changed to being completely active, its outside being changed to a red-aura. His right eye also changes to red, and on his forehead appears a bar code, as if he were a product instead of a human being. Kurama's Fully Awakened state is not actually a 'form'. It would be better referred to as a 'potential unlock'. This state is entered when Kurama gives up on his ideals, being driven into a mental or physical corner which he could never escape by his own strength. This is the form of 'The Ripper', and the Ripper does not care at all about anything but the joy, the rush, of killing, attacking, and slaying. The thrill of the hunt is the reason for its existence, and it could be said that this state is Kurama's true nature, which is normally suppressed. This is why it could be referred to as the result of his Fully Awakened, because it comes out of him in full. More than anything else, this form is a mental shift, as its two primary benefits are the complete ignorance of damage done to Kurama's body and the release of his mental limits. Therefore, this is not a form of ascension, but rather Kurama reaching his natural state, his true power. 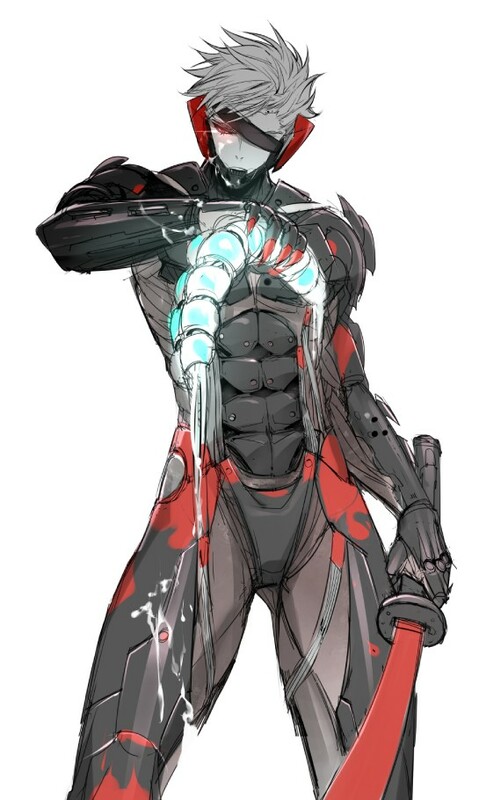 Despite his pain inhibitor being unable to be enabled while in this state and his observation matrix also being disabled, The Ripper is able to completely ignore physical damage done to its body. That is to say that it feels all pain that is dealt to it, but instead of actually causing mental harm, it excites the Ripper. It makes it more desperate and increases the hold that it has over Kurama's mind, converting the pain into supporting evidence for why it needs to stay in control. One of the ways which Kurama can force the Ripper to emerge if he has to is to disable his pain inhibitor during a battle which he is losing. Eventually the pain will overwhelm him and the Ripper will emerge. The majority of the time, the suit that Kurama has on prevents him from being able to release his full power, acting as a 'limiter' to force him to evolve himself while under restriction. Once these mental restrictions are released, Kurama's true power flows out to the surface. While in this state, he is able to use the true capacities of his tiers and skills, as 90% of the time his tier would be decreased by two ranks and each of his chi and Tsurugi skills would be decreased by a rank. » Roleplay Sample: I know what I've been told, the wishes of the people can't be controlled.